Unmissable. Classic. Timeless. Yet, on the 10,000th rotation, possibly might sound dated, but that's just perspective. Interesting to see where opinions devide on this release. I guess a lot of sentiment in any musical genre is just all about where you were at the time. Think the '93-'95 era for trance music was pretty special. Obviously other types of great music going on at the same time. But was really a flourishing moment in terms of how this all took off, and if you were in the right place at the right time, you'd appreciate this release as a sample of some of the more innovative artists. Funnny how the music and scene's vibe seemed to fizzle out, for good or bad, I'm sure it was the confluence of many things coming together in the late '90s. In some ways, the montumum seemed to parallel and coincide with the birth of the internet going live. Seemed to get buried, eventually, under the weight of the precedent it had set. I totally disagree with the former posting. The record is amazing! It is not as melodic and fast as most of the releases under the Goa flag, it's more techno oriented and slower, which makes it quite unique in my humble opinion. It is very intelligent and interesting techno trance with subtle Goa melodies, avoiding the usual cliches. This is also what Blue room made so unique, picking the best but not too clische Goa sounds from that area. For me In-novation is probably one of the best Astral projection tracks as it follows a more interesting path and does not apply the standard formula - of course if you love that formula, the album might not be the right one for you. Other interesting tracks are from Moog, Spectral and Voodoo people. Great compilation of toons. I've read negative reviews of this but personally I can't relate to that at all; this is a tidy selection, one that includes the venerated astral projection track, in-novation. Sweet deal. 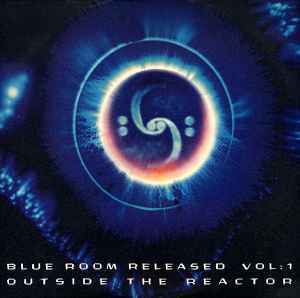 The first LP from the legendary Blue Room and IMO the weakest one compared to the other full length releases. Starts with 2 Techno tracks, followed by the either you like or hate guitar remix track by Juno Almighty and a mediocre track by Spectral. Kundalini / Moonstone (by Spectral) were much better than his offering here. Next is another Techno/Trance track from an Italian artist, followed by Israeli veteran Har El Prussky who gives a soft, slightly melodic and somewhat chilled track. Next 3 tracks are probably the best. Moog picks up the pace again with Lazer Point, a more uptempo, thumping and melodic morning tune. The Astral guys appear the first and last time on this label with the classic In-Novation, b-side of the legendary classic Mahadeva. In-Novation is weaker than Mahadeva, but the latter is so strong that it would pale a lot of other tracks. Paul Jackson gives us another favourite from back in the days. Quadsep, or Quadstep (spelling uncertain) was never released as a single and appears only on this compilation in vinyl format. The legendary Total Eclipse round off release with certainly not the best track they could offer. Still solid, but compared to the content of Delta Aquarids where it is also appears it’s one of the weakest. Except for historical reasons and for collectionism this one can be safely skipped.